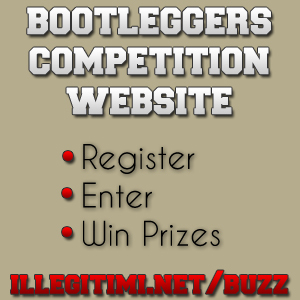 Hello and welcome to Issue #19 of the Bootleggers Buzz. Firstly, an apology from me is in order. The quality of issues in recent weeks in terms of release times, content, size, and editorial has been poor. This is almost entirely down to me; I have not been giving the Buzz the time it deserves and needs in order to be released on time and up to the high standard that we know it can achieve. I can assure you that I will be striving to turn this around, and Issue #20 will see an improvement. I would also like to take this opportunity to thank the team for their continued hard work in keeping the Buzz going with frankly, little or no leadership from me. What you see each week is as a result of their hard work for no reward. I can't thank them all enough. Anyway, on to this week and this issue. Another quiet week and the Buzz reflects this, we've had to go rather off topic this week in order to keep the Buzz relatively full with two stories about Euro 2012! However, we do have the regular weeklies of A Few Harmless Questions, FlameS Hot Topics, and we cover JuanFran's promotion to the ever growing Help Desk team. Congratulations to him. We also look at the only real news of the week, some seemingly random shootings by CrazyBoy and an associate, read FlameS article to find out more. For those of you scouring the issue for BSFs 2000 Characters, it is with regret that I inform you that you won't find it. Having discussed his column from two weeks ago with BSF, we both feel that moving to a monthly column would be best in order to ensure that the column makes a good read and can give us more information on how the game is changing- not something that happens every two weeks. For this reason, the column will now be monthly, rather than bi-weekly, with the next edition being in two weeks time, in the 8th July Issue. Finally, we have a contest for you courtesy of ShyGuy's incredibly messed up mind. 3 clues, 3 answers, and you can win 1000 points. Genuinely good luck! Enjoy the issue, I look forward to speaking to you all again next week. There’s an old saying: ‘Once you go black, you never go back’. But does this also count for yellow? JuanFran's recent promotion back on to the Help Desk suggests so! This week in the Game Forum, there was a topic with a link to a questionnaire asking your views and experiences with the Banking options within the game. powerbear reveals the results! FlameS Hot Topics this week- The new Kill and Witness Statement features. powerbear gives some of your opinions on who should go through to the semi finals! FlameS takes a look into the seemingly random kills by Jo3 and CrazyBoy. Afty goes through a few of the Off Topic Forum games about Euro 2012. ShyGuy has done it again. This time the Buzz is happy to fund the 1000 points and all you have to do to win it is solve another of his near impossible riddles. Good luck! The deaths over the last week, RIP to all.